I’m convinced that deep down inside every one of us is a little kid who doesn’t want to let go of summer. My “summer country” playlist stays on repeat, well, pretty much all year, I wear cowboy boots and sundresses well into fall for game days, and my swimsuit stays in my top drawer regardless of it’s impending uselessness. But once school begins, I’m finally able to say goodbye to my summer mentality. So I’m sending it off and welcoming autumn in a little ensemble I hope you’ll enjoy. 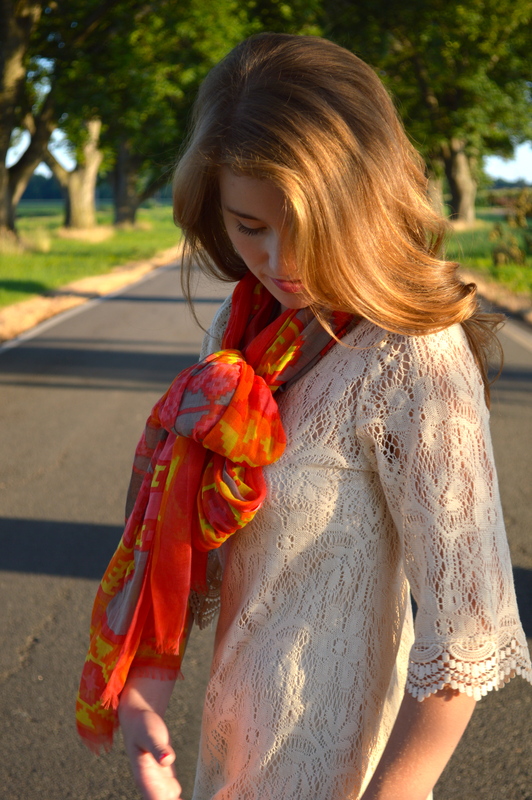 With the dawn of pumpkin spiced lattes and evenings by the fire on the horizon, I paired this vibrant scarf (an impulse buy from Milk, an LA boutique I visited with my roommates this past spring) with a classic lace frock. The duo turned out to be more lovely than I had planned, and I’m already looking forward to pairing it with boots later on this season. As much as I’m sad to bid farewell to banana boat tanning oil and lazy afternoons by the lake, I’m excited to begin a new semester in Austin. I hope you are also looking forward to the frosty months ahead! Have you begun preparations for autumn? Still in denial that summer’s at a close? I feel ya! I’d love to hear what you’re most excited about for the fall! Is Christmas music on anyone’s list? Too soon? ;) Best wishes as always! And lots of love. I adore your dress! Perfect transition look into fall. This is beautiful! Is this in Austin? Your dress is amazing. 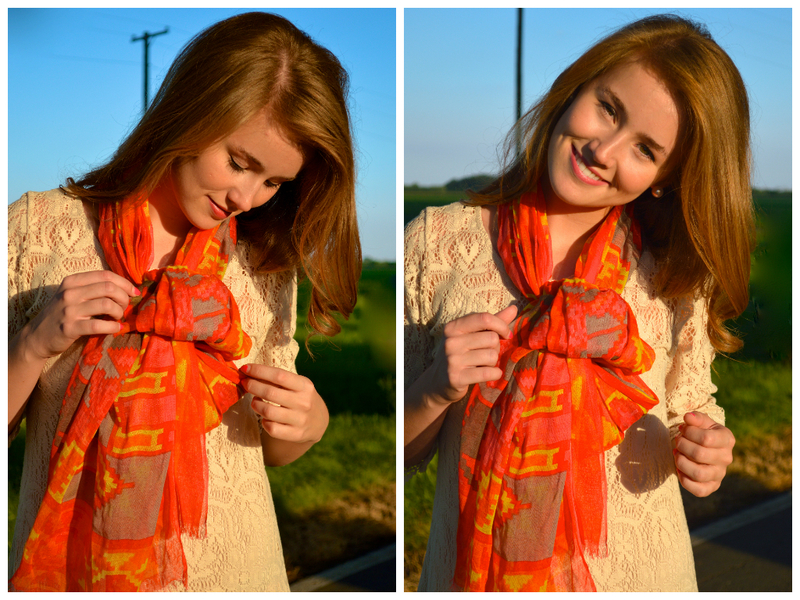 I love how you paired the scarf with it to transition to fall. So stunning! 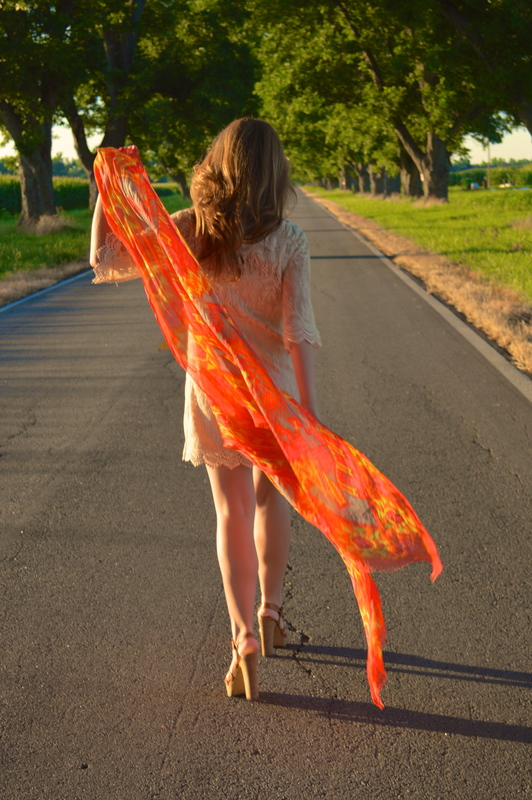 Love how you paired this scarf and dress. I’m visiting via the lace linkup :) I’m an Arkansas girl so I can appreciate your love for the South! Best of luck with classes. Ahh- cutest dress ever! 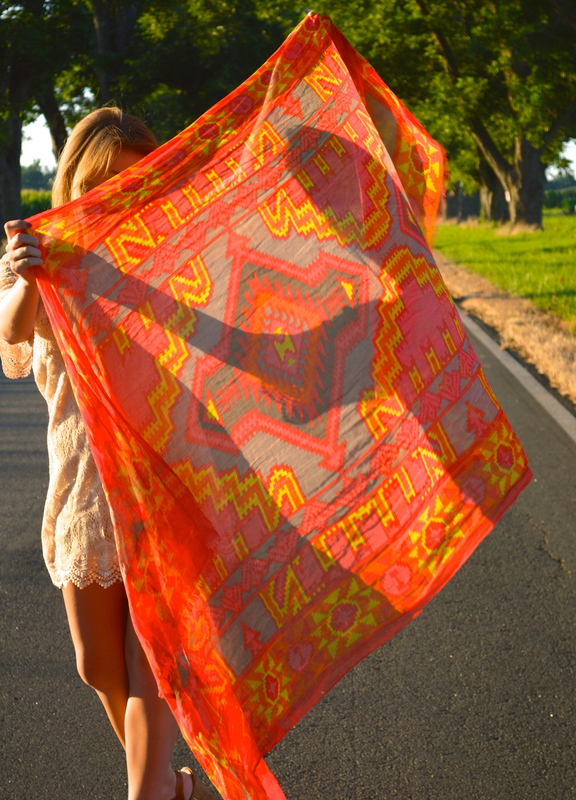 Stopping by from the trend spin link up! This dress is beautiful! I really like it paired with your scarf.